This season, soprano Andriana Chuchman makes her debut at the Hamburg State Opera as Eurydice in _Orphée et Eurydice,_debuts with the San Francisco Opera as Mary in Jake Heggie’s _It’s a Wonderful Life,_ and returns the Canadian Opera Company as Musetta in La bohème. 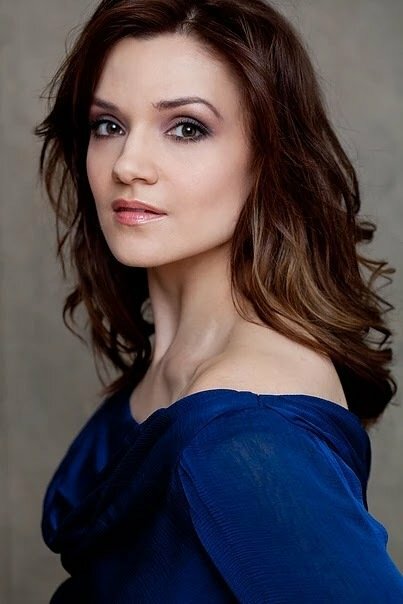 Ms. Chuchman’s recent opera engagements have included Adina in L’Elisir d’Amore, Miranda in _The Enchanted Island,_ Gretel in _Hansel and Gretel,_ and Valencienne in _The Merry Widow_ at the Metropolitan Opera; the title role in a new production of _Orphée et Eurydice,_ Zerlina in _Don Giovanni,_ Yum-Yum in The Mikado, and Valencienne at the Lyric Opera of Chicago; her house and role debut as Pat Nixon in _Nixon in China_ at the Houston Grand Opera; Micaëla in _La tragédie de Carmen _at the San Diego Opera; Lauretta in _Gianni Schicchi_ at the Los Angeles Opera, Boonyi/India in the critically acclaimed world premiere of Jack Perla’s _Shalimar the Clown_ at the Opera Theater of St. Louis, Gretel on the Glyndebourne Festival Tour, Magnolia in _Show Boat_ and Marie in _Fille du Regiment_ at the Washington National Opera, Magnolia at the Dallas Opera, John Adams’ _A Flowering Tree_ at the Opera Omaha, Guinevere in _Camelot at the Glimmerglass Festival,_ Yum-Yum in The Mikado, Cleopatra in_Guilio Cesare,_ Susanna in _Le Nozze di Figaro,_ and staged performances of Orff’s _Carmina Burana_ at the Michigan Opera Theater; Minka in _Le Roi le Malgra at the Bard Music Festival,_the title role in _Flora, an Opera_ and Irma in _Louise_ at the Spoleto Festival USA, and Alinda in _Giasone_ and Dorinda in _Orlando_ at the Chicago Opera Theater. In concert, Ms. Chuchman recently made her debut at the Lincoln Center White Lights Festival in staged performances of the Pegolesi Stabat Mater. She has also appeared at the Cincinnati May Festival in a performance of the Bach B minor Mass, the Detroit Symphony Orchestra in performances of the Brahms Requiem, the Rhode Island Philharmonic in Orff’s_Carmina Burana,_ the Kalamazoo Symphony Orchestra in Mahler’s Symphony No. 4, the Ravinia Festival as a guest on the_Prairie Home Companion_ radio show, and with the International Music Foundation of Chicago in performances of Handel’sMessiah. In her native Canada, Ms. Chuchman recently sang the premiere of Larysa Kuzmenko’s _Golden Harvest_ with the Winnipeg Symphony. She made her debut at the Canadian Opera Company as Olympia in _Les Contes d’Hoffmann_ and has also appeared at the Edmonton Opera as Yum-Yum and Marie in La Fille du Regiment; and at the Manitoba Opera as Susana in_Le Nozze de Figaro_ and Pamina in _Die Zauberflöte._ Concert performances have included engagements with the Toronto Symphony, Edmonton Symphony Orchestra and the Manitoba Chamber Orchestra. Prince George Symphony, and the Winnipeg Symphony Orchestra. Born in Winnipeg, Ms. Chuchman received her Bachelor’s Degree in Voice Performance from the School of Music at the University of Manitoba. She is also a graduate of the Ryan Opera Center at the Lyric Opera of Chicago and the San Francisco Opera’s Merola Program. Ms. Chuchman’s many awards include the Opera Theater of St. Louis’ 2017 Mabel Dorn Reeder Award, prizewinner at the Finals of the 2009 Neue Stimmen Competition in Germany, and a Sullivan Foundation Encouragement Award in 2007.